We are so pleased that so many have volunteered to help for Rocket Building on Tuesday 27th March at 1pm. More volunteers are always welcome, do let your child's teacher know if you can help. Thank you if you've already sent in some resources. Please send in any boxes, tubes cartoons and anything else you feel will help to make their rockets out of this world! Thank you for providing costumes for the Christmas play - we are having our first dress rehearsal on Friday, which we will perform in front of the rest of the school and Junior siblings. The children have been working very hard on their singing and those with speaking parts are beginning to use louder voices! We look forward to seeing you at one of the performances on either 7th or 8th December. With Christmas fast approaching, we are winding down the Traditional Tales topic. We have worked with several stories and are innovating the tale of The Little Red Hen (making slight changes to the original story to produce a new version). In maths we have looked at positional language and making turns (whole, half and quarter turns). More prizes for Sumdog have been awarded - James in Beech Class came 3rd in the school last week! 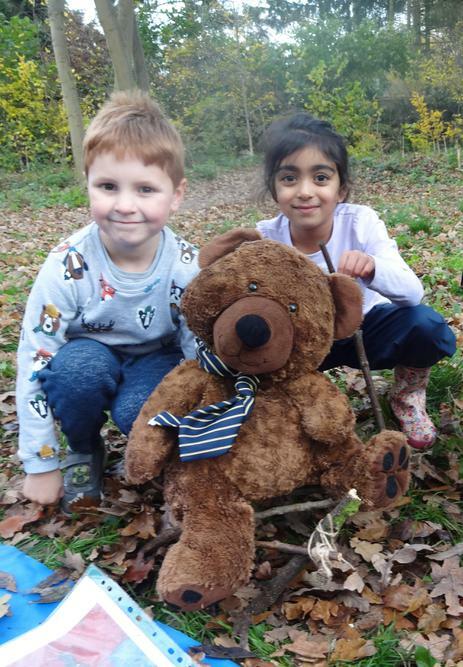 Forest Schools has been fairytale themed - Maple Class made towers for Rapunzel, Willow made beds and chairs for The Three Bears and Beech Class are going to have some (chilly) fairytale fun over the next fortnight - wrap up warm! Apologies for the delay in blogging - technical issues! We had a great first half term and the children really enjoyed our topic working with stories by Julia Donaldson. In English lessons we looked at rhyme, adjectives, story language, questioning and of course, punctuation! The children enjoyed some drama as they acted out stories or were put in the 'hot seat' to pretend to be a character. 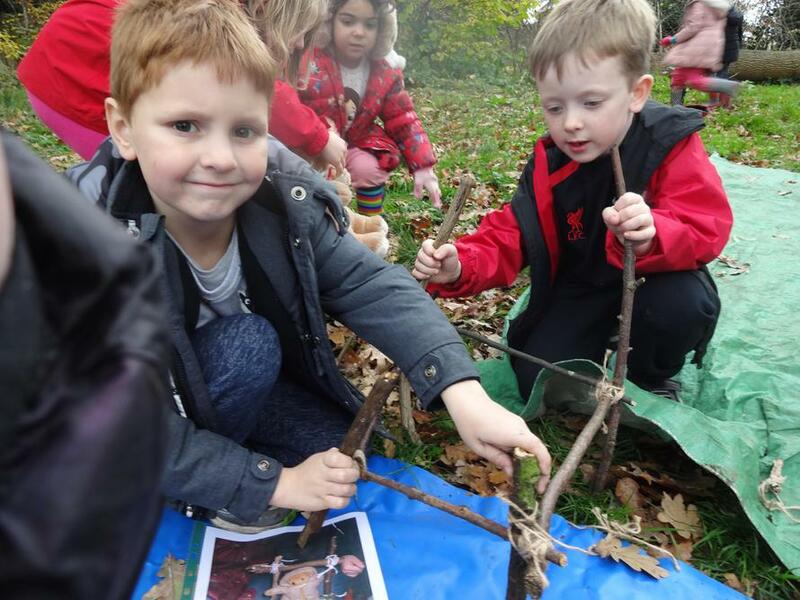 All classes enjoyed making 'art attack' pictures of characters using the natural resources of the Spinney at Forest Schools. Our main focus in Maths was to become confident using numbers to ten using tens frames, the part-whole model, missing number problems, addition and subtraction. We hope you enjoyed the exposition following on from 'Multicutural Week' - we certainly enjoyed finding out about other cultures! Beech Class learnt all about The Gambia, Maple looked at Mexico and Willow Class welcomed Yipeng to The Grove by learning all about China. This half term our focus is shifting to Traditional Tales and finding out what makes a good story. Preparations have begun for our Christmas show 'A Very Restless Night'. We have had some auditions and started learning the songs - exciting times! Mrs Prince has set up logins for all of the children - each has a unique Username, but all have the same password. The password for all is read. Please remember that each book has a number of comprehension questions, that help your child understand the text in more depth, and supports their overall experience of interacting with a story. We hope everyone had a really relaxing break and is now raring to go! Year 1 staff and children will update this page weekly to keep parents in the loop - try to remember to log on and catch up on what we have been doing. 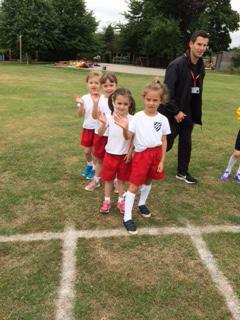 Year 1 Intersports at Redbourn Infant School. Thursday 29th June. 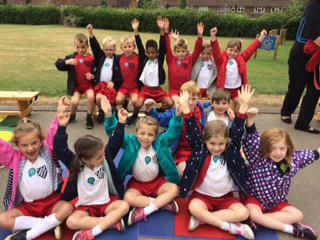 A huge well done to the team of Year 1 children that went over to Redbourn Infant School this morning with Mr Delaney and Mrs Prince. 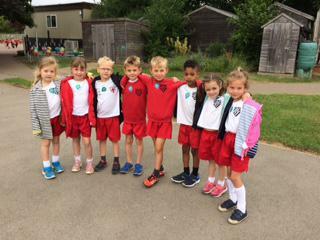 Emme, Ella, Isabel, Lucy, Gabby, Thea and Jessica N represented the girls, and William, Edward, Jake Reddan, Jo Max Pinder and Thomas Baldry represented the boys. Joe and Jessica battled against the swirling wind to throw the Javelins. Joe's second throw was epic and was responsible for nudging them into 3rd place for the overall classifications. 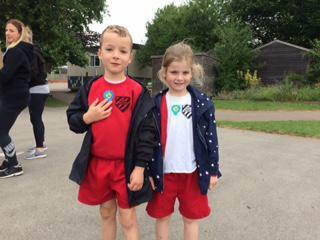 Well done both of you. 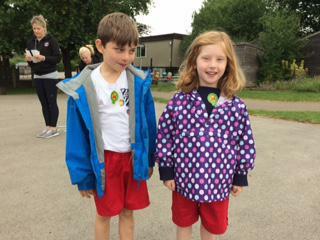 Thea and Thomas had the technically tricky Bean bag throw and both warmed up during the event, and finished a fantastic second place. Well done Team Grove. 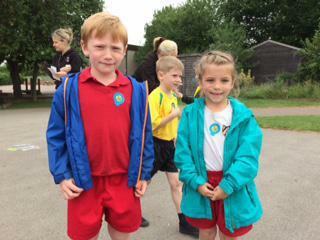 Next came the Jump Rope race, where Jake and Gabby were speedy and VERY bouncy and we were narrowly pipped into second place - well done both of you. Finally we had the relay race. 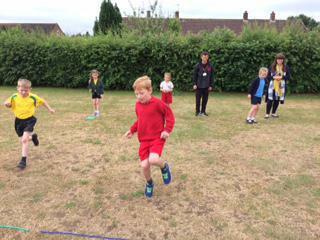 Four girls and four boys running around 50m each. 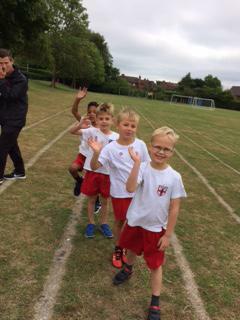 It was super exciting to see just how fast the children were running, and we were very proud of our 2nd place. Well Done Everyone - Mr Delaney and I were very proud of you! Maple children are having loads of fun with their space topic; we eventually managed to make our carrier bag kites and paper aeroplanes too (blame the weather) and took them outside to fly. We had exciting races which led to a fascinating discussion about why some flew better than others. In English we have written space themed instructions remembering to create a good title (‘How to draw an alien’) and providing a step-by-step guide so that the reader can make or do something. Needless to say we’re very good at drawing aliens! For our computing unit ‘We are celebrating’ the children continued to make different cards. They are learning lots of valuable transferable skills and enjoying themselves too! Forest school had a maths theme: number formation, treasure sorting and triangle pattern growing. Plenty of learning for one afternoon. In class this week for maths we have been learning about arrays (LEGO bricks helped us here), solving multiplication word problems and alien football problems too! Thank you to our astronaut badge sewing crew – the children really enjoy the opportunity of working 1 to 1 with an adult and creating a wonderful piece of sewing too! There are 3 more weeks for super star readers to obtain a reward this half-term so please keep going. Also remember SUMDOG! It really is great fun! I look forward to meeting with you again at the parents’ evening, hopefully you’ve managed to book a suitable appointment. Next competition has already begun - it could be you next time! This week there has been plenty of super Superhero learning in Maple class, Pow! Kerpow! In maths we have been adding and subtracting with numbers up to 40, using a range of resources to aid our understanding. We are doing a great job representing our sums using pictures and following methods like counting on, making ten and counting back. In English we have used our brilliant imaginations to compose a variety of superhero poems. We are beginning to use literal techniques such as alliteration and similes to create effective poetry. I have been impressed with their imaginative ideas. There is a display in the corridor to celebrate the spectacular poetry Maple class have written. Please keep reading with your child as we are working towards superstar reader prizes this term. The children need to read aloud at least 3 times a week for a tick on the chart and obtain 6 ticks for a reward. Thank you to all the lovely people who have volunteered to help year 1 on Wednesday afternoon for the skyscraper building workshop; please let us know if you would like to join in as we can never have too many builders! This term is certainly whizzing by - just two more weeks until half term! Where has the time gone? This week we have enjoyed learning and reading a range of Superhero themed poetry. The children have composed their own 2 word poems and written rhyming poems inspired by their own 'real life' heroes. In Maths we have been learning to tell the time to the hour and half past the hour. All children are becoming more confident in naming and sequencing the days of the week and months of the year. To help with this learning in Beech, we have learnt a days of the week rap and months of the year line dance, which the children have enjoyed performing in class. Please try to consolidate this learning at home by referring to the clocks in your homes, noting key times for daily routines such as breakfast time, when to leave for school, bedtime etc. Maths homework for the next fortnight focuses on developing these skills further. In computing the children have been using the new laptops to create their own Supertato e- books and in Science we have been learning about everyday materials. The children have been doing a splendid job with their Superhero presentations, we've had such a wide range from pets, to family members and fictional heroes. The preparation the children have put into these is noticeable- thanks for your input too! It was great to see so many of you at the Parents Information Meeting on the 19th January. Thank you to those parents who are able to come in to help with reading and little word books- your support with this is much appreciated. Don't worry if you aren't able to help this term, there will be other opportunities to help as we go through this school year! Please keep reading with your child - little and often is best- as this regular support really does make a huge impact across all aspects of their learning. Do remember that all children have access to Bug Club and the school library whilst the school reading scheme is audited. Harpenden library on the High Street also has a fantastic selection of books, in addition to the books you share with your children at home. If you have any problems with accessing Bug Club please let me know. We look forward to seeing you at open classrooms on Thursday 2nd February from 3.15pm to share our exciting learning so far. Sumdog's maths games and practice hundreds of skills! ChiCChildren login using the details sent home - your child’s teacher and the office have a copy of these if ti if they have gone astray! Chil Children can choose which game they play, while Sumdog automatically adapts its questions and each corr correct answer they give counts toward their score. The There are special prizes up for grabs each time, so encourage your child to join in and enjoy the SumSumdog craze! In Willow Class we have been doing lots of fun learning - In Maths we are learning to tell the time and the children have enjoyed setting different times on the clocks. In Design & Technology we have been designing our own Superhero tiles made out of clay, and in Art we have created our very own Superheroes!! We look forward to seeing you for our Skyscraper building afternoon on Wednesday 8th February. This is a wonderful chance for Dads & Grandads to get involved - Please let the class teachers know if you are available. This session will then be followed by an exhibition on Thursday 9th February at 9.05, where the children can dress up as Superheroes and talk about their models with their families. We look forward to seeing you there! Please Note: Willow's Forest Schools session has now been changed to Tuesday 7th February and 21st February. If you would like to come in and help, please let Miss McDermid know. Thank you! We will be learning about superheroes in English after Christmas. It would be helpful if the children could bring in a picture/comic strip of their favourite superhero or a superhero toy for the first week back. In geography we will be introducing the children to the United Kingdom using maps and identifying England, Northern Ireland, Scotland and Wales. Whilst on your travels during the Christmas period, please collect any relevant pictures, landmarks, postcards or souvenirs to support this learning. We will be skyscraper building on the afternoon of Wednesday 8th February and will be asking for volunteers in the New Year to work with small groups of children. With this in mind, please store any suitable boxes/materials to be brought into school the week beginning 6th February (apologies we will not be able to take in materials before this date as we just have no space to store them). The children will be encouraged to dress as superheroes on 9th February and talk to families (9.05am-9.45am) about how they designed and constructed their buildings. Please keep hearing your child read over the holiday – little and often is best. We wish you all a fantastic Christmas and look forward to seeing you all in 2017. Congratulations to the Year 1 Sumdog competition winners: Laura, Heidi and Nathan. I hope you enjoy your festive prizes! Another busy week has flown by in Maple class! We have been learning addition and subtraction strategies in maths: making ten for addition, counting back, subtracting ones, partitioning and subtracting ones from ten. In English we have been listening to Christmas stories and using story knowledge to develop our writing and relate it to our own experiences. The children have been reflecting on the Christmas story in topic and making and learning all about Christingles too! Lots of glitter, sequins were also involved in Christmas activities. Thank you to the helpers who came with us to the church on Wednesday – we appreciate it is a very busy time of year. It was a charming carol service and all children behaved beautifully – yes they’re still on the nice list! We all enjoyed our Christmas lunch – thank you to all the lovely dinner ladies who helped make this a special experience! I loved all the Christmas jumpers today! Please see our class photo on the window! Please remember to keep reading with your child – little and often is best! Another busy week in Beech class! Firstly I'd like to say a huge well done to all of the children in Year 1 for their performances in the school nativity. They all worked so hard to learn (and remember) all of the songs and their lines. I am extremely proud and hope you enjoyed the performances as much as we did. Don't forget that copies of the nativity are available to purchase for you to peruse at your leisure! In addition to the nativity performances, in maths we have been learning to make number bonds to 20 and how to represent these using the maths resources and pictorial representations. The Sumdog competition is now live so please do encourage your children to get involved. There are festive prizes avaialable. Each child has their Sumdog login details on the cover of their pink Maths Homework books to enable them to access this at home. In English, we have been learning to sequence and retell the nativity story and the children will be writing personal recounts of their roles in the nativity next week. On Friday, we said good bye and good luck to one of our class mates. We wish him and his family all the best as they begin their adventure in L.A and look forward to hearing all about it as soon as they get settled. Not long now until the end of term and the Christmas holidays, the excitement grows by the day! The children have been busy preparing and creating a number of festive items which will be making their way home in the final week. On Wednesday afternoon the whole school will be visiting to St John's Church in Southdown and for Beech Class we will need 3 volunteers to walk there and back with us. If you are able to help with this please let me or a member of our classroom team know. As always, if you have any questions or queries do come and speak to me- at the end of the day is usually best. Re: Mathematics website Sumdog (www.sumdog.com). The next Sumdog competition for KS1 will start 8am 9th December and run till 8pm 15th December. It’s easy to take part, just play Sumdog's maths games and practice hundreds of skills! Children login using the details sent home during the last contest period. Your child’s teacher and the office have a copy of these if they have gone astray! Scores are based on accuracy, and questions tailored to each child's level - so everyone has a fair chance. Please don’t help your child or they will get more difficult questions which will only spoil their experience. Children can choose which game they play, while Sumdog automatically adapts its questions and each correct answer they give counts toward their score. There are special Christmas themed prizes up for grabs this time, so encourage your child to join in and enjoy the Sumdog craze! In Willow class we have been having lots of fun! We made dens for woodland animals in Forest Schools and the children really enjoyed getting muddy! Our artwork has focused around traditional stories and so we have used collage and paint to create different characters such as Little Red Riding Hood and The 3 little pigs. In Maths we have been learning about place value, learning how to partition numbers into tens and ones. We have used lots of different equipment, and we have been thinking about the different ways we can represent a number. In English we have been exploring different traditional stories, focussing on The Little Red Hen and learning an exciting Talk for Writing! Year 1 have been busy rehearsing for our Christmas Nativity, and we are looking forward to the real performances next week! What a busy week we have had in Maple class! We have been learning about place value in maths: representing teens numbers using objects and pictures such as tens and ones and on tens frames and recording as a variety of mathematical sentences. In English we have been introduced to the story of ‘The Little Red Hen’ and have used role play to explore and understand its repetitive structure. We sequenced the main events of the story and drew a story map. Talk for writing (see PowerPoint) helped us to remember the story too! The children have continued to impress me; there have been very few days that they haven’t had gained a marble for the jar. Because of this our class party will be next Friday 25th November, normal school uniform please. Remember to let me know if your child has any allergies to the food listed in the earlier blog. Our nativity rehearsals have now begun; please help your child practice their lines, checking they are clear and sufficiently loud. Also please ensure your child’s costume is in school by Monday if possible. Well done to all the children for embracing spotty ‘Children in Need’. Please see our class photo on the window! There's lots of good work being done. In assembly yesterday all children were shown how to log onto website. For a class to qualify for the leaderboards, at least 10 students from that class must play in the contest. The contest finishes tomorrow, at 8pm - still plenty of time left. All KS1 children have now been entered in the Sumdog Hertfordshire maths contest. For children in Beech and Willow I will be sending home a paper copy of login details so please look out for this. The great news is that if children login during competition time they will be able to access Sumdog games at other times too! The children in Maple have really enjoyed using it so I hope you all do too! Enjoy! This Friday (November 11th) is the start of the Sumdog Hertfordshire maths contest. It’s free to enter and runs for six days, ending the following Thursday. Children in Maple have been entered. You can play online at home using the website or the app.....and there are prizes up for grabs! Login to this web page with username and password given on paper slip sent home today inside reading records. Username is composed of surname initial and christian name (no space all lower case) please, password is sum followed by first three letters of christian name (no space all lower case), school code is groveinfants. Schools usually have to pay a subscription to use this website but it is free during competition time. Most of the children have had a go at school today and enjoyed it. So I hope you do too! Hedgehog Street - beside the Nursery Gate. purple prickle juice (blackcurrant juice), poisonous warts (green grapes), roasted fox (carrots sticks), scrambled snake (popcorn) and owl ice cream (well, vanilla ice cream with chocolate drops). Please let me know if there is any food your child is not able to be given. The children will not need to change clothes! I will put the date of the party on this blog page as it can only be chosen when the jar is actually full! So please remind all children to keep doing so well! Please remember to log on to your Bug Club account - details inside reading records. All the children have been asked to do as much reading as possible over the holiday. Just a minute week commencing 31.10.16 is Callan, Thomas, Gabby, Oscar and Beatrix. 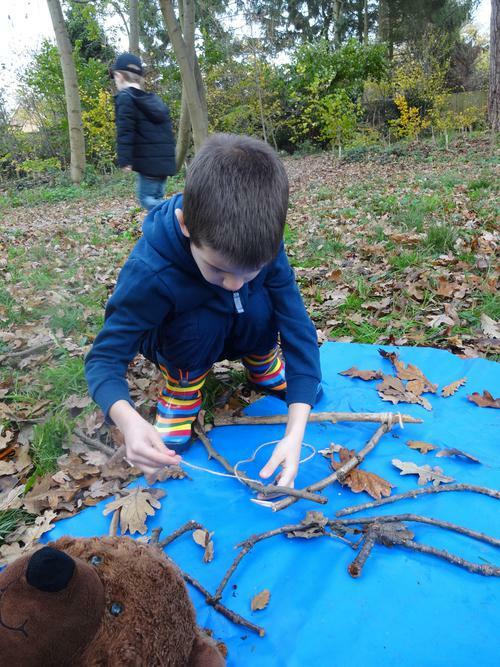 Forest School 1.11.16 is group 1; 8.11.16 is group 2. Reading records and books in school every day please. Little word books on Wednesday. PE is Wednesday and Thursday. Maths homework books alternate Thursdays. Thank you for your support and to the brilliant parent helpers too. 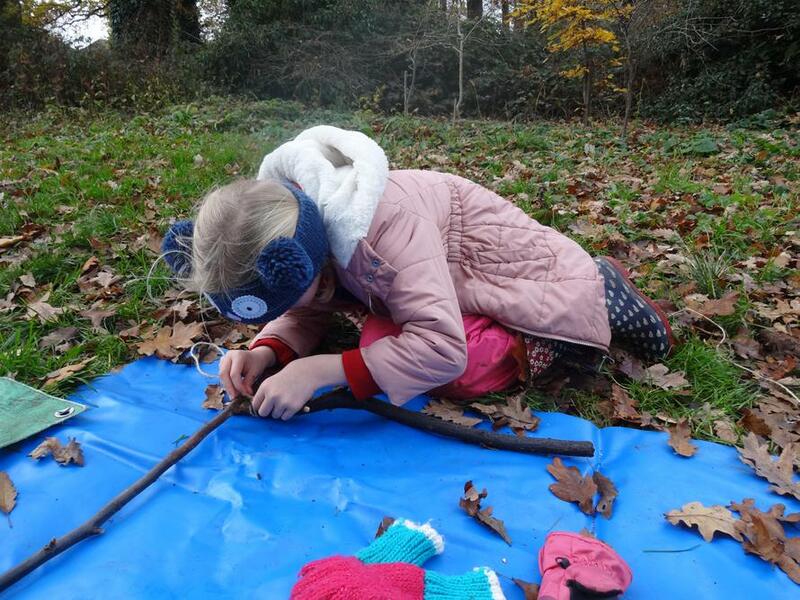 The Woodland Trust Why not become a Nature Detective using the excellent materials available on this site.